By the time you clean the house, give the kids a bath, and send them to bed, going “out” on a date seems more like a chore than something to look forward to. When you become parents, it’s the simple things in life that mean the most. 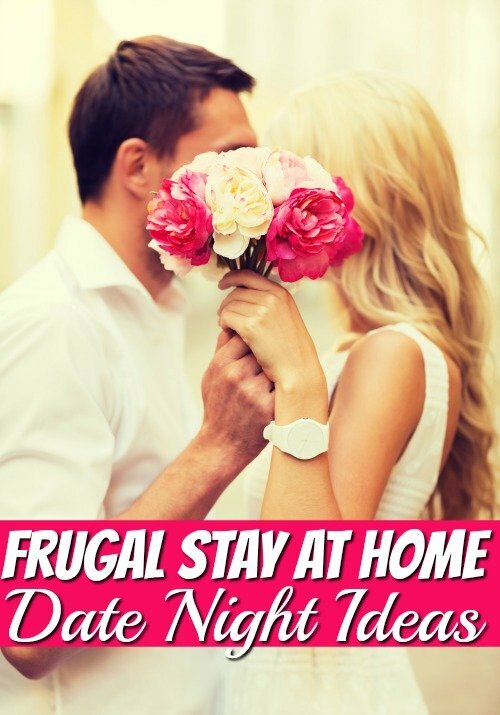 Here is the best frugal stay at home date ideas for the busy parents. Haven’t you seen those funny parent raps and crazy videos? Document your life with a funny twist to get rid of stress and have a little fun with each other. Remember, couples that video together, stay together. Plus you never know maybe you will go viral and become famous, maybe not but hey it's still fun! As long as you’re a good sport, having a little competition in the relationship can be a lot of fun. Who is better at “Life” (the game), sports (on the WII), or a good old game of Monopoly. Get out the board games or the video games and have some healthy competition. Puzzles always seemed like a waste of time when I got done because you just took all your hard work and put it back in a box, but with puzzle glue, you can actually keep your creation. Pick out picturesque puzzles that would look great on your wall and make masterpieces together. You can spend the time doing the puzzle and glue it down and frame it, it a great fun way to decorate your house! Sometimes you just need to go back to the days you first fell in love. Have a little childish fun with a little truth or dare. You may be surprised the new things you learn about your partner. The more you learn and understand each other, the closer you will become. There are several free truth or dare apps you can use for question ideas. After a long day of work and taking care of the family, sometimes you just need a little R & R. You can binge watch your favorite shows or cuddle up for a good movie. When it comes to Netflix, there’s more than one possibility. Plus it doesn't have to be Netflix; Hulu works too! After you take care of the house, the yard, and work, when do you have time to take care of your bodies? Most couples don’t take care of their bodies which can add more stress both physically and emotionally. Make a date to work out together. We love to have a glass of wine, or bottle of root beer and sit outside and just talk or just relax. Now that we fulltime RV we love our Friday afternoon dates. This is where we grab a drink sit outside while the kids nap and watch the ‘weekenders' pull into their spots. Most of these guys have no clue what they are doing, think the dumping scene at the beginning of the RV movie. You don’t have to spend a fortune to date your significant other. Be creative and have fun together. What other ways can you make a date from home? Share it with us in the comments below!